Honda CR-V prices in Nigeria - which model year should you go for? The Honda Pilot has proved itself to the optimal choice for a family SUV. However, which generation, trim, and model year should you go for and how much is the Honda Pilot price in Nigeria are questions that have been giving searchers of the Pilot headaches. Naijauto.com will give you a pill to soothe this pain today. Check out! Designed to be a mid-size crossover SUV that has high seating position, roomy cargo room as well as kid-friendly interior, the Honda Pilot (Honda MR-V in the Middle East market) has been known among car purchasers as the perfect match for those who are looking for private transport for family-oriented use which emphasizes land transport economics or commercial vehicles as well. The largest SUV Honda has ever introduced shares its platform with the Honda MDX, previously known as Acura MDX, the Accord sedan, and the Odyssey minivan. Is the Honda Pilot worth your money? Since Honda’s product introduction in April 2002, the Pilot has been keeping close to its strategies to put its customer’s comfort first hence building trust worldwide, which is why keyword “Honda Pilot price in Nigeria” is among the most searched for its impeccable adaptability for the transportation engineering in Nigeria. Understanding that, Naijauto.com will inform you of the price lists of the Pilot available on the Nigerian market as well as the answer for the most common questions by car buyers on the largest SUV from Honda (However, the 2010 Crosstour outpaced it in terms of length). It depends on the conditions, the model year, and many more factors but you can take our price tables below for reference. The ambitions to penetrate deeper into the market of land vehicles had urged Honda to eye at a replacement for the Passport. This new move determined the Japanese manufacturer would only have only another SUV, amongst Honda vehicles, which is the CR-V based on the Civic. The Pilot also defined Honda as one of the first motor vehicle manufacturers of Japan in the vehicle industry to get a full-size crossover three seat rows which would go head to head with the Nissan Pathfinder (Read Nissan Pathfinder prices in Nigeria) and the Mazda CX-9. Honda made a bold decision to wipe out the idea of a crossover has to sit on the light truck platforms. Its unibody construction SUV chose a platform bred from the Honda Odyssey and the Acura MDX instead as what cars of Japan, as well as other giants (vehicles of the United States, Germany, and Korea, etc. ), always do: introduce new vehicle technology and automobile layout so that it won’t fall behind in a more and more competitive wheeled industry. At its launch in April 2002, the Pilot rode on a 106.3” wheelbase, 188” of length. This first 2003 model year bears the weakness at its space arrangement which was too mean to the rear seat, making it a little tight for adult passengers. Regarding its engine, still it was that Acura MDX’s that became used for the Pilot to crank out 240 HP. This 3.5L V6 engine was linked to a 5-speed automatic transmission, enabling the car to accelerate from rest to 60 mph in 7.6s. Its fuel economy was calculated to be around 16-22 mpg for front-wheel-drive layout trims and 15-20 mpg for all-wheel-drives. Also, the integrated perimeter frame rails to bolster the towing capacity is what even betters the already-impressive Pilot, one of the best off-road vehicles. The first updates came in 2004 with the heated front seats that is standard on the EX-L trims. A year afterward, its engine power got a boost to reach 255 HP. In 2006, more noteworthy updates were made on the exterior, bringing revised front fascia and grille while the headlights and taillights had been redesigned. The interior changes were focused on the center console and the instrument cluster. The most desirous point as always that was the fuel efficiency perked up for the updated AWD system along with the added variable valve management. For all these, the Pilot 2006 model year got a positive EPA result of 18-24 mpg. The second-generation Pilot made its debut in 2008, putting on a more rugged face that drew the car into a mix of reviews. The exterior design features larger 17” wheels, a tall oversize grille, and a higher hood line. Honda gave it increases in the overall length and the wheelbase with each 3” longer to be 190.9 and 109.2 inches respectively. Of course, one of the most common questions people who are searching for cars always have in mind is “is the car reliable”? Let Naijauto.com tell you in the next part. 6. Are Honda Pilots reliable? For 2010, the Pilot achieved the Best Resale Value Award in the Full-Size Utility Vehicle category by Kelly Blue Book which dissects motor vehicles with their resale values after five years of purchase. Kelly Blue Book not only took figures from the former version of the Pilot to give its opinion but also denoted the Honda car’s best in terms of resale value in years to come, making it a wise buy regarding both the brand new and used Pilot. On Repairpal.com, a platform where motorists share their opinions on cars, rates the Honda Pilot 4.4 out of 5. Most of the Pilot owners complimented on its durability and reliability engineering throughout the years. Few problems were detected and they mostly circled around the tire, heater and mileage. With all being said, the Honda Pilot problems are forgivable and curable. The Insurance Institute for Highway Safety put the Pilot among the list of ten lowest death rate in their report. And the answer for the question “Should I go for the Pilot?” is an absolute yes! 7. 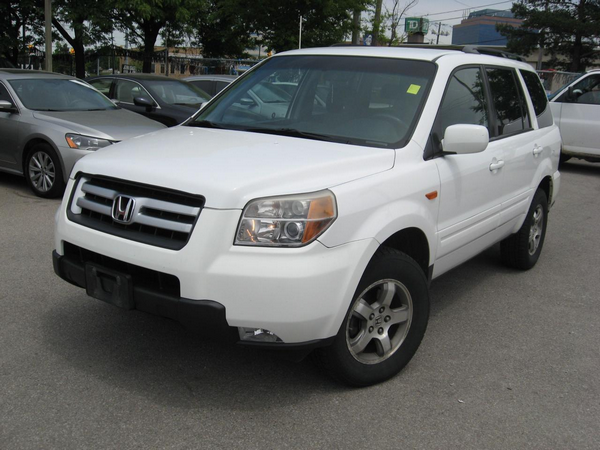 Which Honda Pilot generation and trim should I go for? Naijauto.com believes the first generation is a better choice for prospective purchasers. It includes a host of standard equipment with standard automotive technologies you may expect from a full-size utility vehicle, namely power door locks and windows, a climate control system (vents for the rear occupants), cruise control, front side airbags, 64/40-split third and second-row seats, and antilock brakes. Also, it’s a bonus point if you prefer the softer look with more rounded lines which the second generation model had dropped. 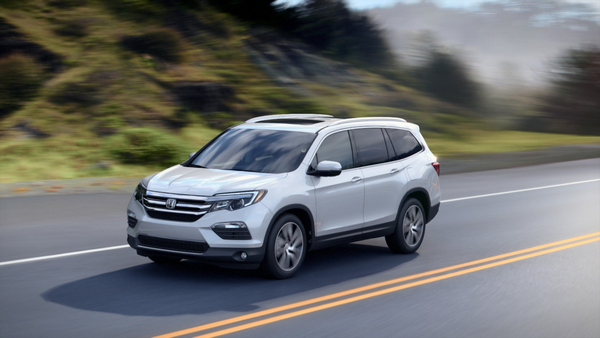 As mentioned earlier, the second-generation Honda Pilot followed the look that had been made more rugged in the exterior, so it might be also its perk if you prefer a stronger appearance in an SUV. Increasing in its length and height, the Honda Pilot offers more space in the interior, killing its weak point in the rear leg room. The second generation also gained better handling after Honda improved its turning ratio, promising better off-roading experiences. Leather upholstery is always amongst the first choice from car maker for luxury enhancement. If a luxury-oriented Sport Utility vehicles is what’s in your favor, you might have to make a decision between the Touring and EX-L trims. Some high-end trims left you with choices for optional DVD entertainment systems or navigation. You cannot get both for the inadequate dashboard room. In the latest model year 2019, new features that come standard include adaptive cruise control, road departure mitigation, lane departure warning, lane keep assist, collision mitigation braking, and forward collision warning. Video: 2019 Honda Pilot Elite – Still The Perfect Family SUV? 8. Where are Honda Pilots made? The first generation of the Honda Pilot was introduced in the second quarter of 2002. The Pilot had been manufactured in Alliston, Ontario from that to 2007 when it has been produced in Lincoln, Alabama up to the present. Is the Honda Pilot a family SUV you should go for? You have just read the article on the Honda Pilot Price in Nigeria and our overviews of the Pilot’s trims and generation. Naijauto.com hopes this knowledge will be a useful source of reference for you before you will jump into our world of cars for sale on the website to pick your desired Pilot. >>> Discover more price articles on Naijauto.com!